Nigerian artistes are converging at the hills and locations around Agenebode, Auchi and environs of Edo state to be part of a new movie being produced on Afemai culture and tradition. The movie is the brain child of Nollywood star actor and business man, Sam Obeakheme. 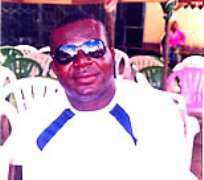 At first, Obeakheme tried to produce Ikeke which he considers the first film from the Etsako area of Edo state, Nigeria. Now, he is at it again to produce another but this time using popular Nigerian artistes. Sam Obeakheme of the Stubborn Grasshopper fame is currently on location where he has gathered notable Nollywood practitioners to produce 'Okeh'. He disclosed midweek that one of Nollywood's best screen writers, Joe Dudun is already through with the script and waiting to roll. He says that plans are already concluded for the grand audition to hold in Auchi. According to him, Okeh is set in Lagos and the Afemai neighbourhood and deals with the conflict arising from the need to fill up a vacant traditional stool. 'I have the projection of Afemai culture, tradition and world view on my mind'. Obeakheme came into Nollywood reckoning when he featured in the movie 'Stubborn Grasshopper' and was compared to Late General Abacha because of the role he played in the movie. Ever since, he had done several Nollywood films and produced his own 'Ikeke' where he says he is trying to show that films of stories from his native Afemai culture are relevant to the world system.